Today, Brooklyn the greyhound turns three years old. Sadly, he will not celebrate his special day with a loving family. Instead, he is living inside a cage at the Canidrome racetrack in Macau. Because the track has no adoption program, he is literally on death row. Twenty five days have now passed since we sent our letter to the Canidrome asking for his release. Even though we have not yet heard from track management, every day brings new victories for all the Macau greyhounds. Earlier this week Animals Australia joined the effort, and is asking their supporters to contact the Minister for Agriculture to urge him to stop Australia's export of greyhounds. Animals Australia is a national, non-profit charitable organization with an impressive record of investigating and exposing animal cruelty. Their work adds yet another voice to a chorus of humane organizations from around the world who are speaking out for the Canidrome greyhounds and calling for change. Animals Australia's timing could not be better. Shortly after their alert went out, the urgency of this problem was underlined by a tragic case in India, where a greyhound was abandoned do die in a New Delhi airport. According to the Times of India the dog was shipped to India from Australia, where he was refused entry by the Animal Quarantine and Certification Services and abandoned by his importer. The greyhound was then left in a wire cage at the airport for forty days before being rescued by wildlife activist Maneka Gandhi. 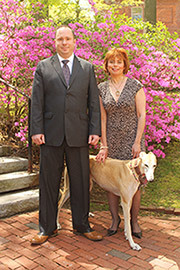 This case clearly highlights the perils of exporting greyhounds around the world. "This is one of the Australian dog racing industry's dirty little secrets, and needs to be revealed." Never before has there been so much global momentum to help the Macau greyhounds. On Brooklyn's birthday, the entire world is watching and waiting to see how the Canidrome will respond. Perhaps this unprecedented awareness is Brooklyn's birthday gift, sent to him by people all over the world who are fighting on his behalf. I like that thought, but of course would prefer a much nicer gift. For his next birthday, I would like to give him a loving family and home of his own. No australian Animal should leave Australia! We all know how they get treated in the middle East, India or any other NOT westernised country ! Spare our Animals a cruel death! Spare our Animals from an unworthy life! Brooklyn and I share a birthday - my wish is tht he finds his way home to Aus and a forever home...what else can we do to help him?? Happy birthday! 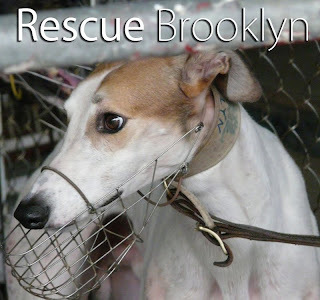 To learn more about how you can help Brooklyn, go to www.RescueBrooklyn.org.